Ashley Henderson ’19 is focused like a laser on what she wants to do after college. 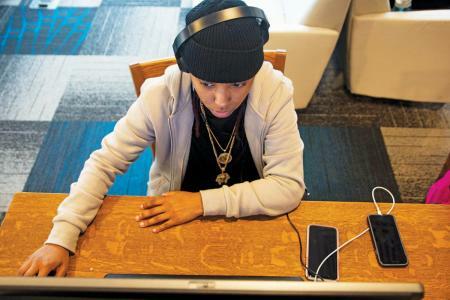 Every week she makes a schedule of her academic goals, prioritizing time for study, work, playing basketball, participating in clubs and making videos. She doesn’t mind working hard to achieve her objectives. Henderson, who’s played basketball since she was 3 years old, wants to go pro with a European women’s league after graduation. But the communications major from suburban Washington, D.C., has another long-term goal: She wants to tell stories in visual form through documentary-style videos. Henderson currently plays point guard on Wilson’s women’s basketball team. After sustaining a devastating ACL tear in her knee in her third game as a freshman, she worked to get back into shape and by the next season, was back on the team. The experience made a lasting impact. Henderson’s play has been getting better and better. In February, she achieved a career-high 30 points in a game against Penn State’s Berks Campus and a few weeks later, she was named to the North Eastern Athletic Conference all-conference team. Henderson’s talent for conceiving, shooting and editing videos is evident in her work for athletics, but it was the video she made for National Coming Out Day last fall that got her noticed on campus and beyond. Blending music and facts about the LGBT experience with interviews with Wilson students about being gay and coming out to family and friends, Henderson created a simple yet powerful mini-documentary that got a lot of attention. Filmed on her phone and set to the poignant Same Love by Macklemore, Happy in My Skin: A Mini-Documentary has been viewed at least 2,563 times, according to Henderson. In the video, she talks of her own experiences, including a physical attack for being gay while she was a freshman in high school. It happened when she and her friends temporarily split up on a shopping trip in Washington, D.C., and she found herself in an alley with some young men who began harassing her. “These guys were making catcalls at me and I ignored them. That’s when they attacked me, saying ‘Oh you want to act like a dude, I’m gonna treat you like one.’ They hit me, pushed me, kicked me,” said Henderson, who managed to get away with some bruised ribs and a busted lip. 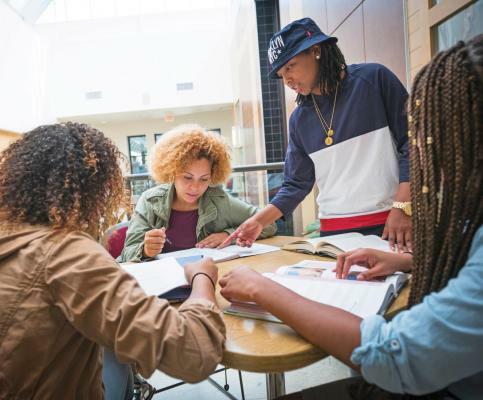 Henderson’s latest video project is about what it’s like to be a student of color on a mostly white campus. She got the idea to make the video for Black History Month in February, but was unable to finish the project in time. The video includes interviews with Wilson students and, like the coming out video, combines historical events and information with personal stories. Inspiration for the video came over Christmas break. “I was listening to this song and I just got an idea in my head,” Henderson said. The song, A Dream by rapper Common, samples Martin Luther King’s “I Have a Dream” speech throughout while expressing a message of determination in the face of racism. Henderson, who is minoring in dance, brings diverse experience to her dance courses and to Orchesis. “I’ve been dancing since I was five. I did tap, ballet, church dance (liturgical), lyrical, hip-hop. 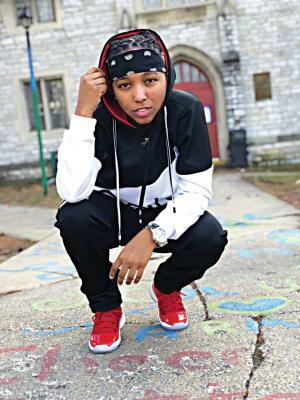 Hip-hop is my favorite,” said Henderson, who is adding her own stamp to the storied modern dance ensemble for this spring’s performance. 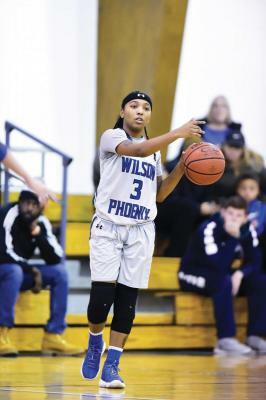 Henderson originally committed to play basketball at Trinity Washington University, a women’s college in the nation’s capital, but Wilson’s then-women’s basketball coach, Jared Trulear, convinced her to visit the Wilson campus. “I came on a visit. I liked it. That’s how I got here,” said Henderson. I like this great one blog post! I like this blog and ill share with others too after mine yosemite san francisco tour.